On Tuesday, September 3rd, the 2013 M+Visión Fellows arrived on MIT’s campus. 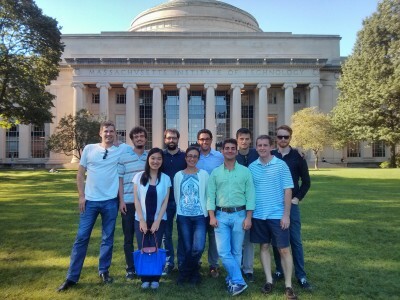 A cohort of ten Fellows, exceptional talent from all over the world—engineers, physicians, scientists, and entrepreneurs who see the promise of biomedical imaging—will engage in structured learning experiences for one summer in Madrid, followed by a few months in Boston developing a research direction. After this initial development period, Fellows will conduct research projects—up to two years total duration—with the potential for global effect, using their Consortium network of academic, medical, industry and public leaders as mentors and springboards. The M+Visión Fellowship in Translational Biomedical Imaging attracts exceptional emerging talent from all over the world: engineers, physicians, scientists, and entrepreneurs who see the promise of imaging—and who want path breaking experiences that will help them make their mark on the world.